We offer a full range of electrical installations, whether your premises are a domestic, commercial or industrial environment. 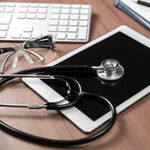 You may require a condition report for a number of reasons, such as when selling or buying a property. This report will give you information on the condition of the electrical installation - particularly the presence of hidden damage to equipment, such as cables and joints. 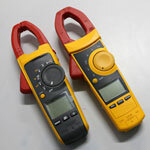 PAT testing or portable appliance testing is an important part of any health & safety policy. 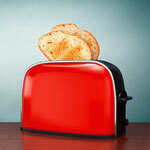 The Health & Safety At Work etc Act 1974 places such an obligation in establishments where appliances are used by employees or the general public, or where appliances are supplied or hired. 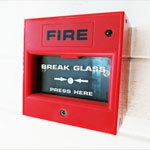 The type of fire alarm install that is required will depend on the property type. You may require an installation to suit a workplace, public building or for HMO purposes if you are a landlord letting out a property. 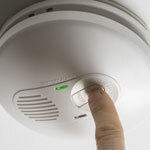 Smoke/Carbon monoxide alarms are essential, these devices give vital early warning and extra time to escape in the event of a fire or presence of carbon monoxide. The type of security system you require will depend on the type of property, whether it be to secure a large premises or to simply provide family security in your own home. 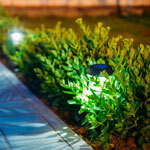 We also offer a full range of security lighting systems to brighten up your property/premises. 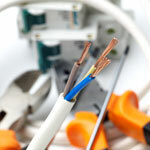 The condition of your electrics will determine whether or not your property will require a full or partial re-wire. If your wiring dates back to before the 1960’s and has rubber cables and an old style fuse board it is highly recommended you have a re-wire. Lighting up the garden can be used for for decoration or practical purposes. Outdoor waterproof sockets can be installed for mowing the lawn without the inconvenience of trailing extension leads. 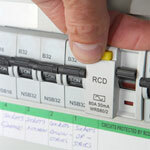 Want more control over your heating system? 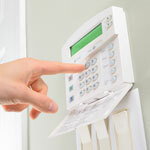 Why not add additional controls such as a room stat or 7 day programmer. We also offer heating solutions to those with no means of plumbing who require storage or convector heating systems. We also provide a comprehensive service for those looking to upgrade the style of their bathroom or kitchen with the need for their electrics altering to suit the new design. One of the most economical and convenient ways of providing a shower facility is to fit an electric shower, heating up the water as and when it is required. We offer LED and low energy solutions with LED lighting and other low carbon technology products. We offer a service which looks at every aspect of your energy usage to determine the very best methods of saving you money and reducing energy. All electrical installations deteriorate over time due to many factors such as wear and tear, corrosion or over loading circuits. 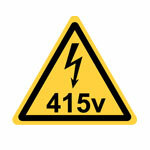 The effects of this can cause over heating cables, flickering lighting, tripping circuit breakers or blowing fuses. 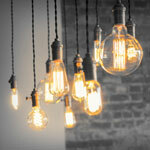 It is very important to maintain electrical installations; our services include lighting, re-lamping etc. All aspects of 3-phase installation work including supplies to 3 phase equipment and machinery.